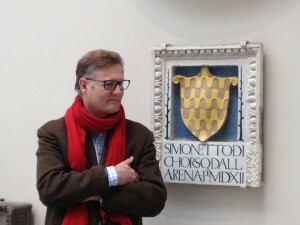 Rupert Willoughby is an established lecturer on the national circuit, on subjects ranging from the post-war reconstruction of Basingstoke to the Bayeux Tapestry. He has been accredited to The Arts Society (formerly NADFAS) since 2011. His lectures are invariably rated ‘Excellent’ or ‘Outstanding’. Often complimented for his clear and confident delivery, he is well-known for his light, humorous touch and narrative skills. Rupert is equally experienced with young audiences. For many years, he combined his other activities with regular educational work at historic sites and in museums. Since 2010 he has been available for full-time supply work in schools. 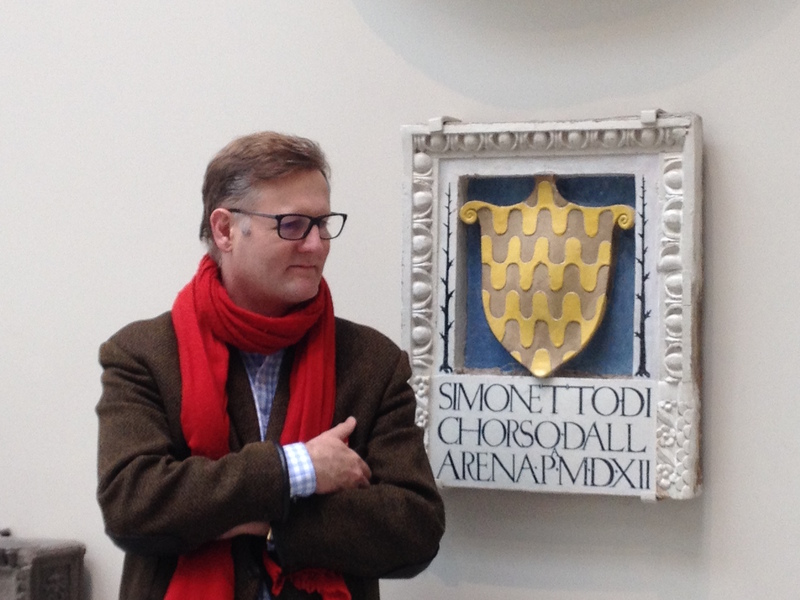 He has held appointments teaching the Classics (both Latin and Greek), for periods from a term to a full academic year, at a series of prestigious prep schools – Elstree (2010), Ludgrove (2012-13), Arnold House (2014-15), Thomas’s, Kensington (2015-16), St Paul’s Cathedral School (2016-17), Summer Fields (2017) and Notting Hill Prep (2018). He has also taught Classical Civilisation to GCSE at Salesian College (2017). In 2018 Rupert returned to Elstree in a part-time role, teaching Greek and History to the scholarship sets. 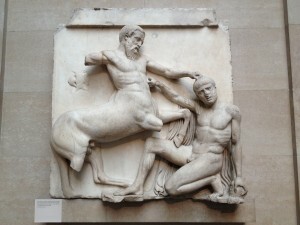 Read his article, ‘Why Learn Ancient Greek?’, at http://www.rupertwilloughby.co.uk/cuttings/why-learn-ancient-greek/. Rupert has developed the following talks for children, each typically lasting 45 minutes. Please address enquiries to RupertWilloughby@btinternet.com. Marathon! 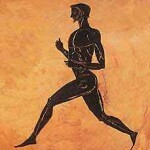 One of the world’s most popular athletic events, invented for the 1896 Olympics, commemorates Pheidippides’s epic 26-mile run, in 490 BC, from the battlefield of Marathon to his native Athens. According to the legend, Pheidippides breathlessly announced the victory of the city’s forces over the invading Persians, then dropped down dead from exhaustion. 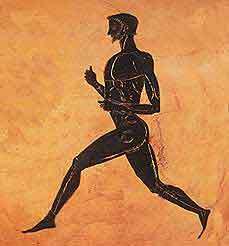 Apart from the amazing courage of Pheidippides, why remember a battle that took place over two and a half thousand years ago? Since the 19th century, historians have argued that it was a crucial event, one that had decided ‘the whole future of human civilisation’. As the famous Victorian philosopher, John Stuart Mill, put it, ‘the Battle of Marathon, even as an event in English history, is more important than the Battle of Hastings’. Rupert Willoughby re-creates the background, the battle itself and, especially, the famous charge of the hoplites (Greek infantry) in thrilling detail. He looks at the various ways in which ancient Athens has influenced our culture, and he argues that Marathon was, indeed, the battle that saved ‘Western Civilisation’. Thermopylai! In 480 BC, ten years after their defeat at Marathon, the Persians under King Xerxes launch a second invasion of Greece. 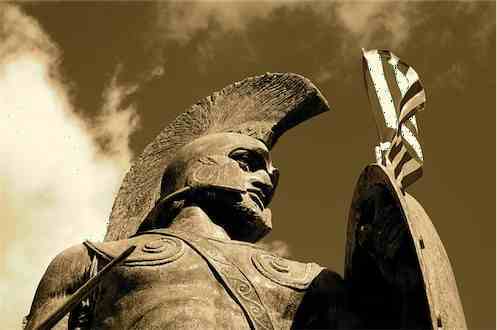 Leonidas, King of Sparta, plans to block their advance. 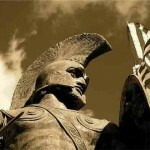 The Spartan state is one of the oddities of the ancient world. To qualify for citizenship, all males from the age of 7 must complete the agoge, a particularly brutal form of military training, in which they are starved and bullied and ruthlessly tested for any sign of weakness. Famously men of few words, solely dedicated to the profession of arms, the Spartans are the supreme warriors of their time, unbeaten in any major battle. Leonidas consults the Oracle at Delphi and is assured that Sparta will indeed be saved – but at the cost of his own life. 300 hand-picked soldiers accompany him to the narrow Pass of Thermopylae where they will hold off the Persian advance. When told that they should lay down their arms, he tells Xerxes to ‘Come and get them’. To the utter astonishment of Xerxes, his tiny force repeatedly beats off the ‘myriad’ Persians before the inevitable outcome. This is the stirring tale of one of the most gallant and well-known military actions in history. 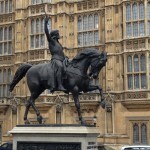 Richard the Lionheart! 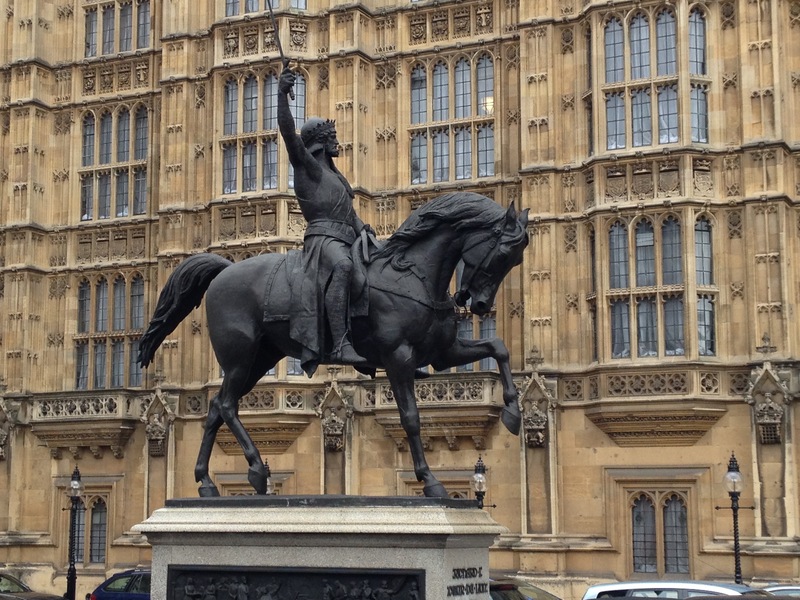 His statue is outside the Houses of Parliament and he is one of our most famous kings, yet he spent only six months of his ten-year reign in England. When not defending his territories in France, Richard was one of the leaders of the Third Crusade, intended to liberate Jerusalem from the Saracens. Rupert Willoughby describes the terrible Battle of Hattin, which sparked the Crusade, the siege of Acre and the long, exhausting march on Jerusalem. Faced with a formidable adversary in the chivalrous Saladin, Richard proves an outstanding commander, yet the Crusade ends in bitter disappointment and his humiliating captivity in a German castle. Back in France, he constructs what seems to him the perfect fortress, and boasts that he could hold the Château Gaillard – his ‘saucy castle’ - were it made of butter. His death in 1199 seems like an anti-climax: besieging the tiny castle of Châlus-Chabrol, he becomes history’s most famous casualty to a crossbow-bolt. The story is one of high drama, gallantry and adventure. Replete with colourful detail, it offers a refreshing view of the Muslim foe as chivalrous and unfanatical.